The United States will suspend its obligations under a landmark nuclear treaty with Russia starting on Feb. 2, according to simultaneous statements issued by the White House and Secretary of State Mike Pompeo. For years, Washington has accused Moscow of violating the 1987 Intermediate-Range Nuclear Forces Treaty. The pact prohibits both nations from possessing short- and mid-range ground-launched missiles. 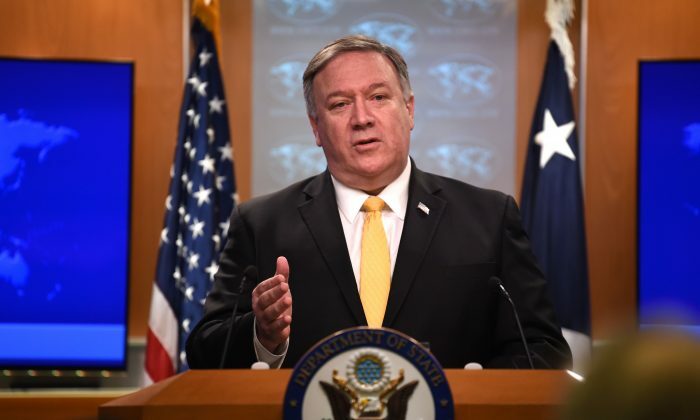 Both Trump and Pompeo said the U.S. withdrawal is backed by NATO allies, who joined Washington in December to declare Moscow in material breach of the treaty. NATO issued a statement on Feb. 1 backing the withdrawal decision by the United States. The withdrawal will be complete six months after the official notice is served on Feb. 2. During that time, Russia will have another opportunity to return to compliance by destroying the missiles which are allegedly in violation. American officials made more than 30 attempts over the past six years to bring Russia to compliance. Pompeo said on Feb. 1 that Moscow has refused to take any steps to comply with the requests. In December, Pompeo gave Russia 60 days to return to compliance with the treaty. He noted at the time that European allies have lobbied for the additional time in order to mount a diplomatic campaign to return Russia to compliance. Russia denies the allegation, saying that the missile’s range is a few miles short of 300 miles. Washington asked to test the missile’s range, but Moscow refused and offered a testing scenario U.S. officials found unacceptable. Russia made a last-ditch attempt to preserve the treaty and displayed the disputed missile on Jan. 23 as proof, which American officials rejected. “This would be a fantastic thing for Russia and the United States, and would also be great for the world,” Trump said. 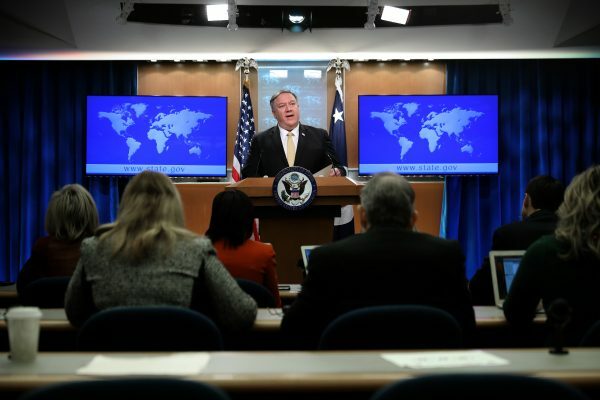 A senior Trump administration official told reporters on Feb. 1 that the exit from the treaty has nothing to do with China, which has deployed more than 1,000 missiles neither Washington nor Moscow could deploy under the INF. The threat from China is a much bigger problem for Russia than it is for the United States, the official said. Russian President Vladimir Putin has voiced concern about other nations fielding INF-prohibited missiles as early as 2007, noting that South Korea, North Korea, India, Iran, Pakistan, and Israel have those weapons.